Iceland. The name conjures images of rivers of glacial ice, thundering volcanoes pouring out clouds of ash, green hills, rocky cliffs, and small, turf-roofed farms, and the meeting of the continental plates at Þingvellir. 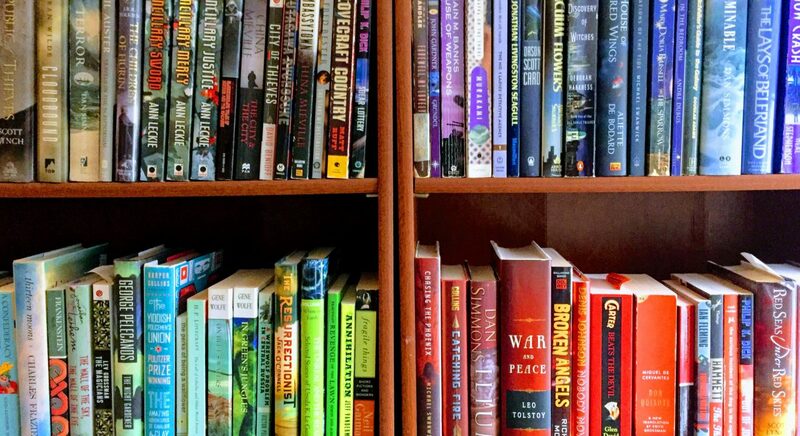 It’s people are the most literate people in the world with a rich cultural heritage including the Icelandic Sagas, the mythological Eddas, and carefully-recorded history stretching back over a thousand years. Yes, it’s cold in Iceland!!! Reykjavik is the capital of Iceland, the northernmost capital city in the world. Reykjavik is a small city, home to less than 120,000 fisherfolk, artists, traders, craftsmen, and musicians. We threw our luggage into the car and ventured out in the dark in our vehicle, driving the 45 minutes to Reykjavik across a surreal sort of moonscape–shadowy lava rock covered in a layer of fresh snow. The strangest thing was that there were no trees to be seen anywhere as we drove towards the city. Reykjavik is a small city, and easy to navigate. 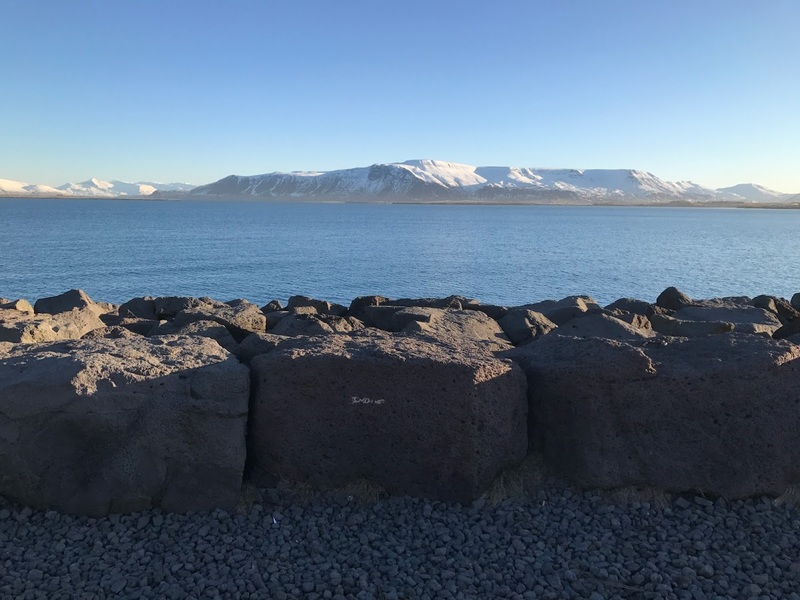 We quickly found our way to a hillside neighborhood downtown where we bought fresh-baked pastries at a bakery called Brauð and then sat and drank our first coffee in a cute little coffeehouse (Reykjavik Roasters). The coffee was regrettably weak, but the place was charming, with a record player, strange kids books (Donald Duck in Icelandic), and locals traipsing in and out to pick up lattes. At the top of the hill is the stunning, white Hallgrimskirkja church that stands like a monument over the city. The church features hexagonal architecture reminiscent of the hexagonal black basalt columns that are visible in Southern Iceland (see Day 3). 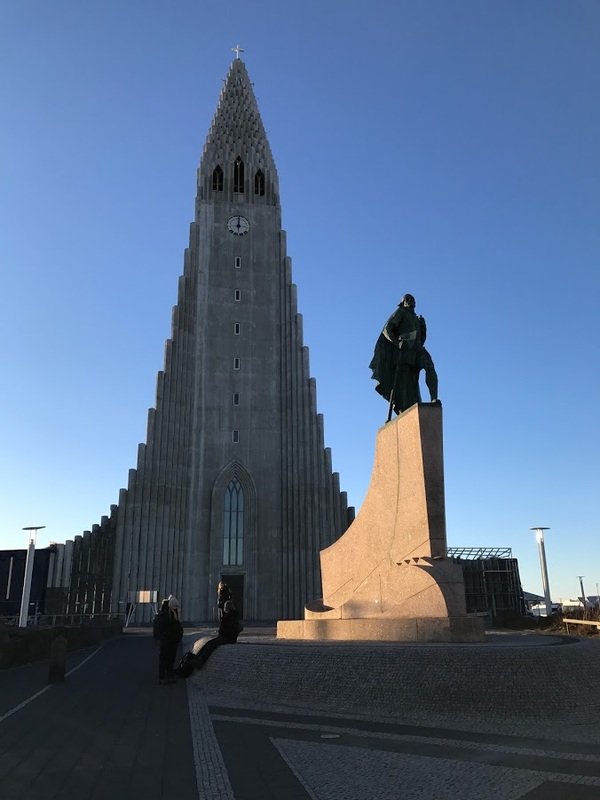 In front of the church stands a mighty statue of the Viking explorer Leif Erikson, who was the first European to discover America. We Americans gave the statue to Iceland on the thousandth anniversary of their Parliament, the Alþingi, which was first held in 930 AD! 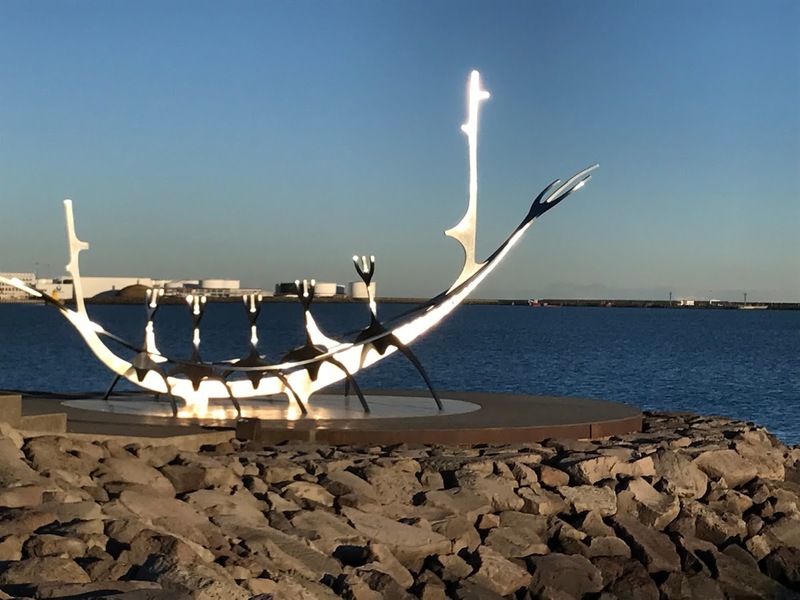 It was still to early to check into our hotel so we ventured down to the waterfront where we stumbled across a beautiful steel sculpture known as Sun-Craft. It sits on the bay, reflecting the rays of the sun with the sea and the icy mountains as stunning backdrop. 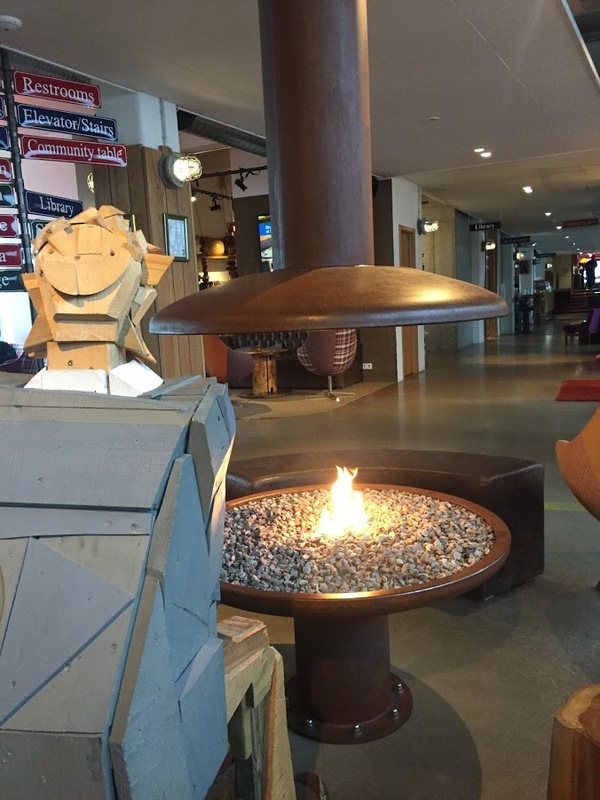 We found our hotel–Icelandair Hotel Marina–in the Old Harbor neighborhood. It literally sat right on the harbor. There was a salt-stained ship cradle and a collection of fishing boats bobbing outside of our window. The hotel itself felt super-hip. Very modern and trendy with a library, cocktail bar, a cinema, fireplaces, and original artwork (including glass sculptures for windows!). We were still before check-in time, so we parked the car and headed to the Old City to meet up with a free city walking tour. The guide was informative, but it was cold that morning and our guide was painfully slow, standing 5-10 minutes at a time in front of this statue or that, and skipping past what seemed to us the most interesting things–undercity ruins at the Reykjavik 871 exhibit! We skipped out on the tour after half an hour, poked around in a few souvenir shops (oh how Iceland loves these! ), and then popped in a cafe for a lunch of potato soup and a mozzarella panini. 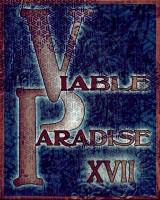 After lunch, we went back to the hotel and crashed for a couple of hours of blissful, dreamless sleep. We woke warm and rested in our cozy room. In the distance, I could just make out then colossal Snæfellsjökull glacier northwest across the sea. 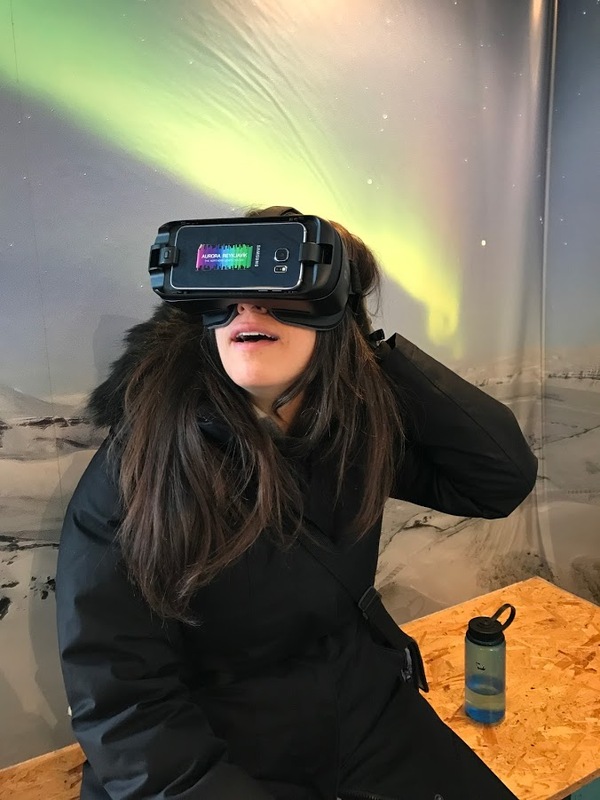 We ventured out to the Aurora Reykjavik exhibit where we learned all about the science of auroras, watched some cool videos, and had fun with 3D goggles. One of the reasons we came to Iceland in the winter was that we both dreamed of seeing the Aurora Borealis, so it was good to come and learn facts about it. Unfortunately, our chances looked slim as the weather was predicting clouds and snow during the bulk of our visit. We ventured to Resto for dinner. We drank wine and shared an appetizer of salt cod in a pastry shell. Denise ordered a dish of langosteen and ling. I had grilled salmon with delicious vegetables. 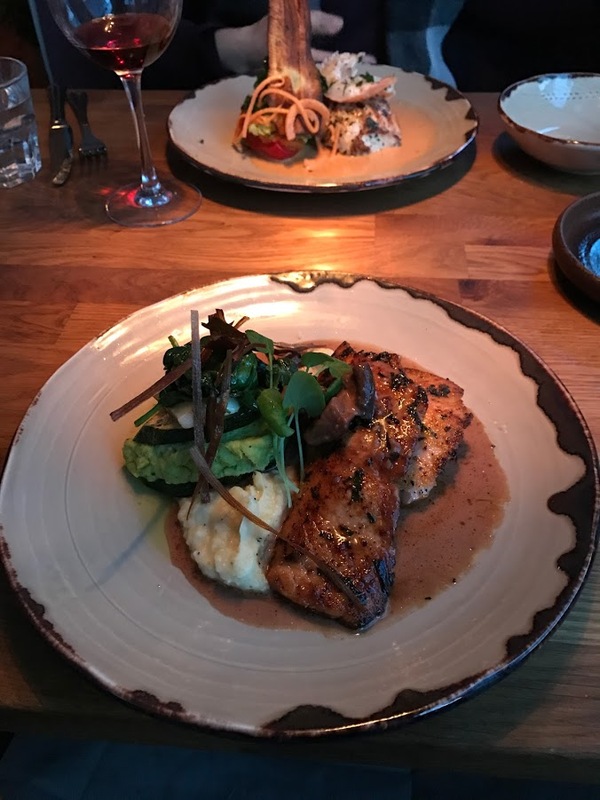 The meal was incredibly delicious–rich and buttery and savory and sweet and salty. All the things! We headed back to the hotel, exhausted but well-fed. We had unwittingly arrived on St. Patrick’s Day, and there was a Jameson Whiskey party going on in the lobby. We skipped the Jameson and ordered the house cocktails. Denise’s featured gin and lemon and mine had tequila, fruit, and cream. Glad that tasty cocktails were available, if ridiculously expensive! One drink in and we crashed for the night!